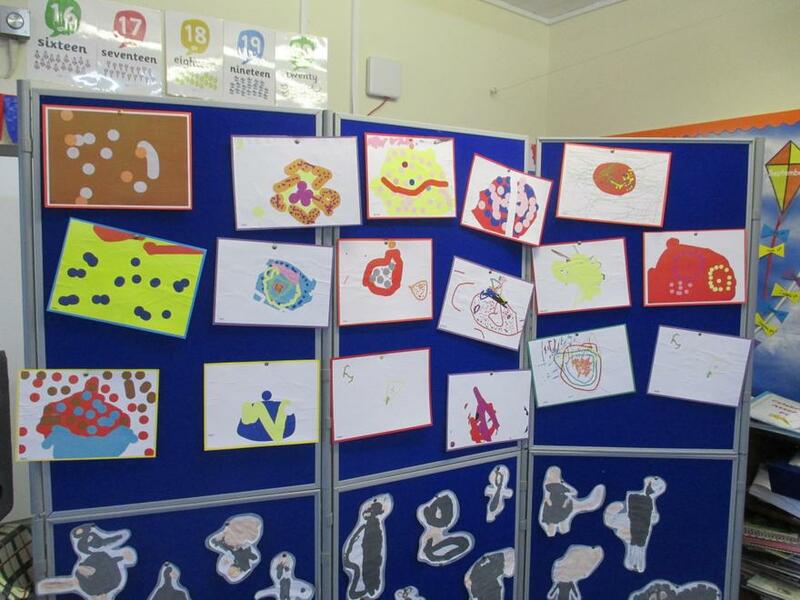 Artsweek was a huge success. 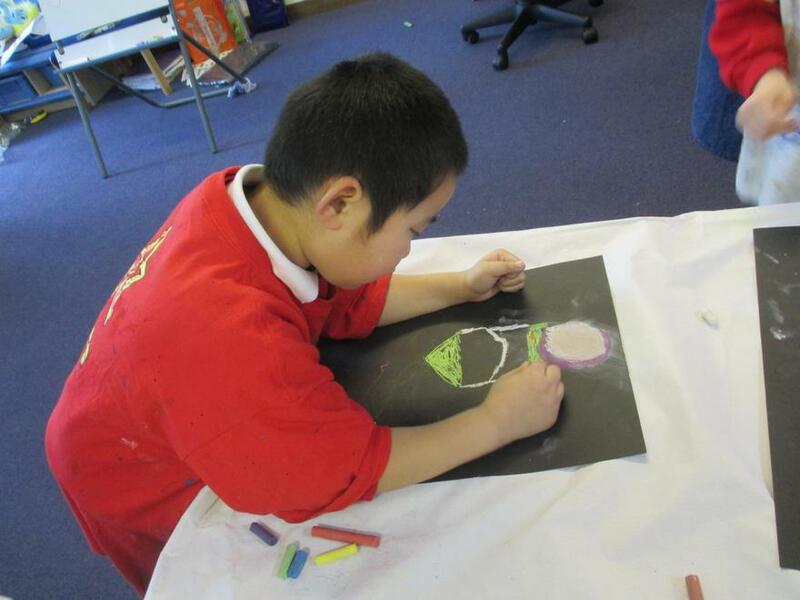 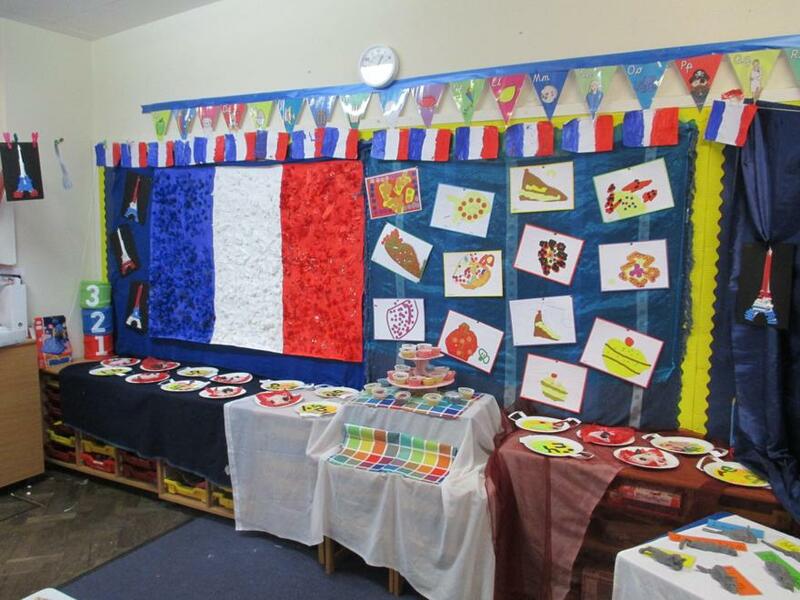 All classrooms were very busy creating colourful pieces of Art and experiencing new techniques. 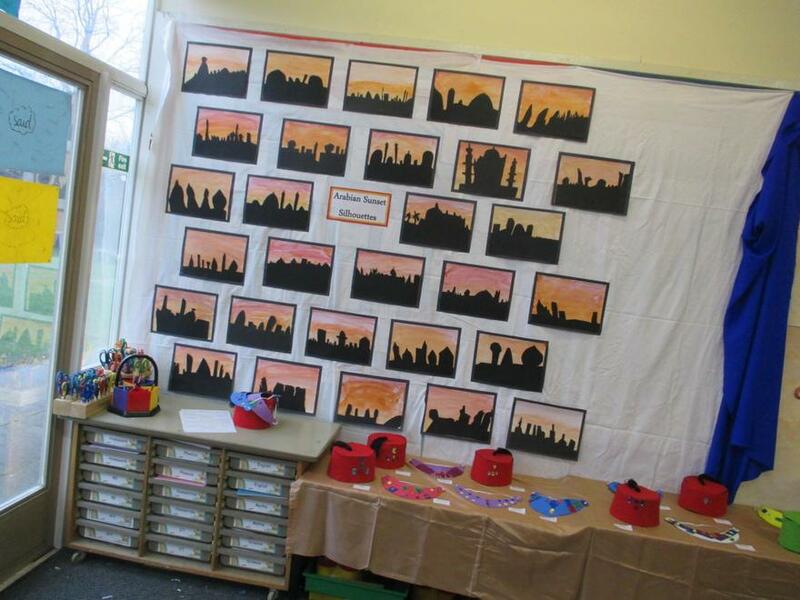 This included: painting, working with pastels, sculpture, collage, printing, template shadows, fabric crayons, embellishments and much more. 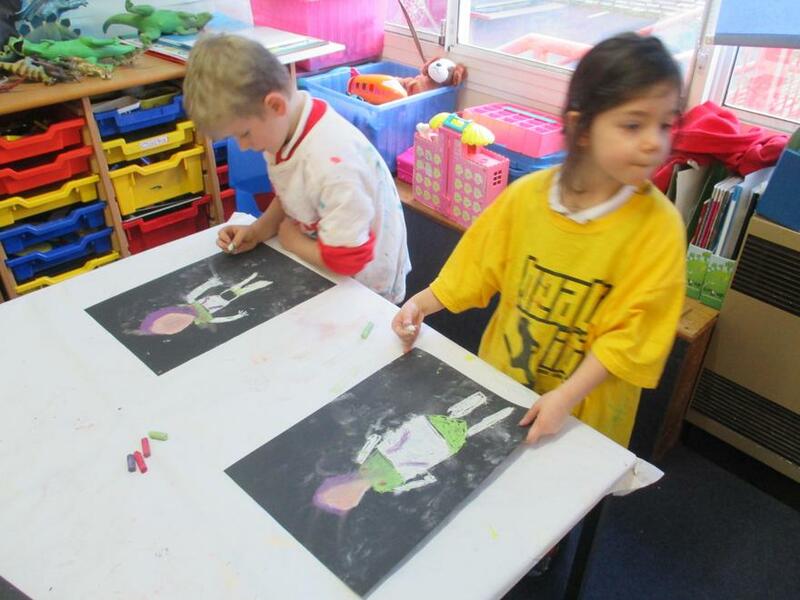 During the week Miss Pitman took dance workshops. 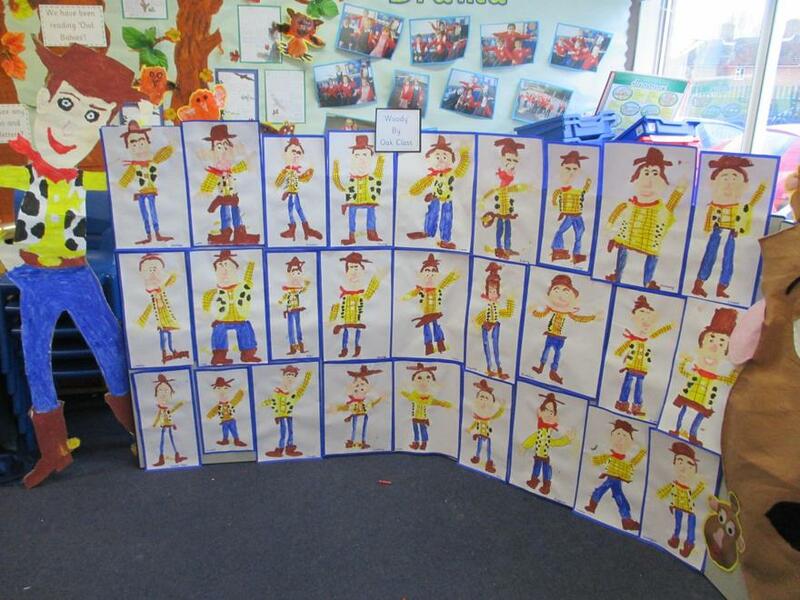 This culminated in a whole school dance to the sounds of 'I Just Can't Wait to be King'! 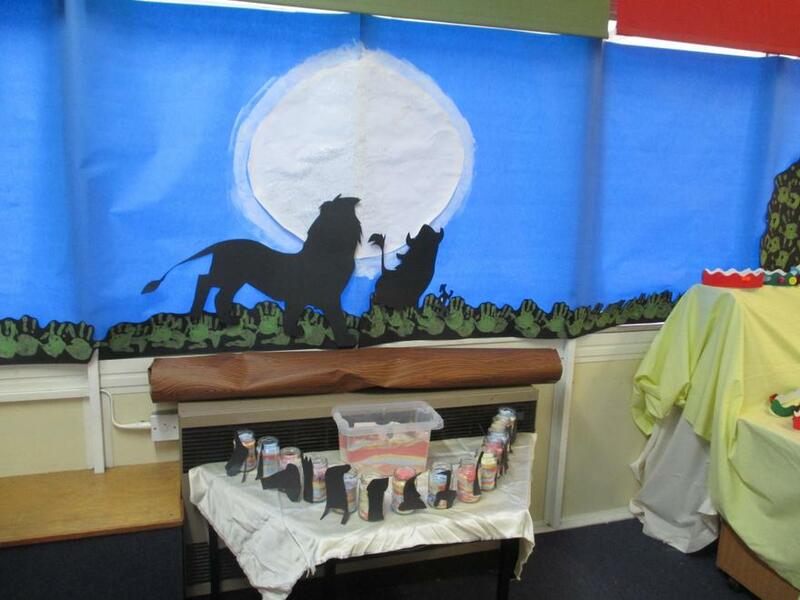 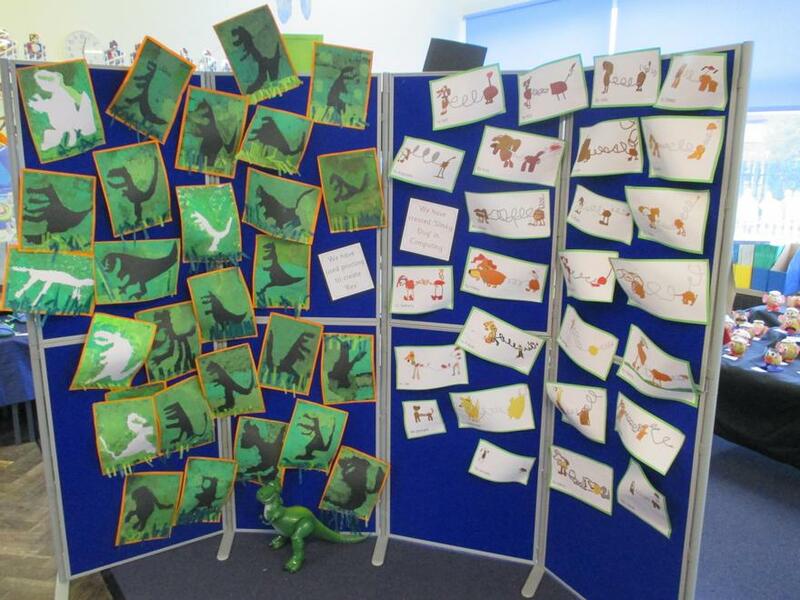 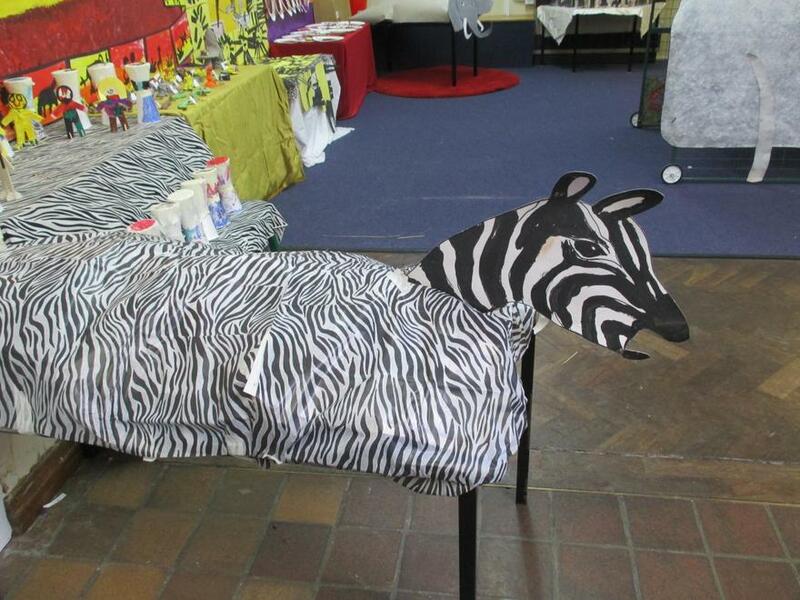 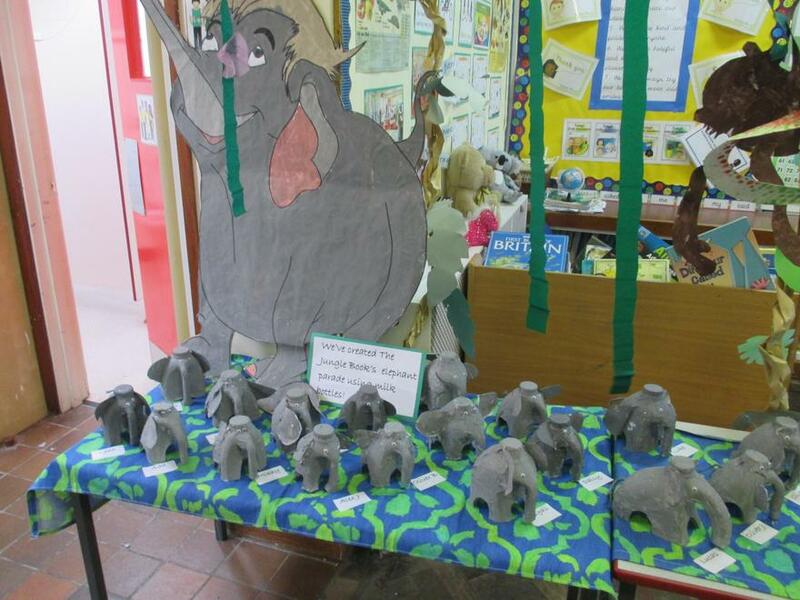 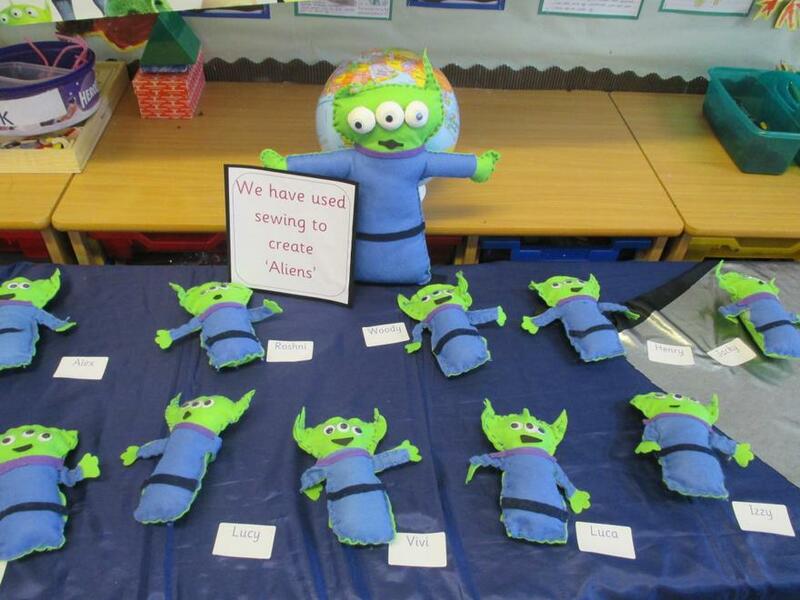 Mrs Noble visited each class to share her creative and artistic flair whilst focusing on each specific film. 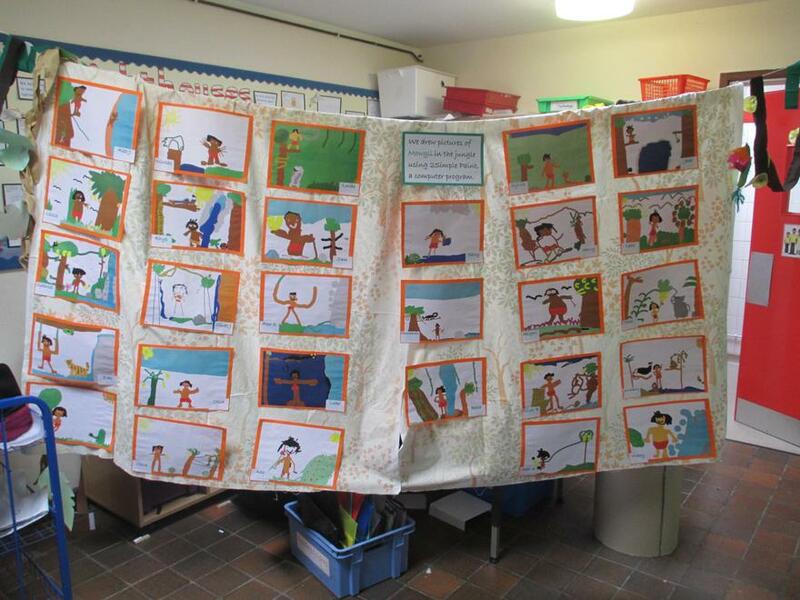 We give our grateful thanks to Mrs Skyrme-Davies for helping us to create such an amazing canvas! 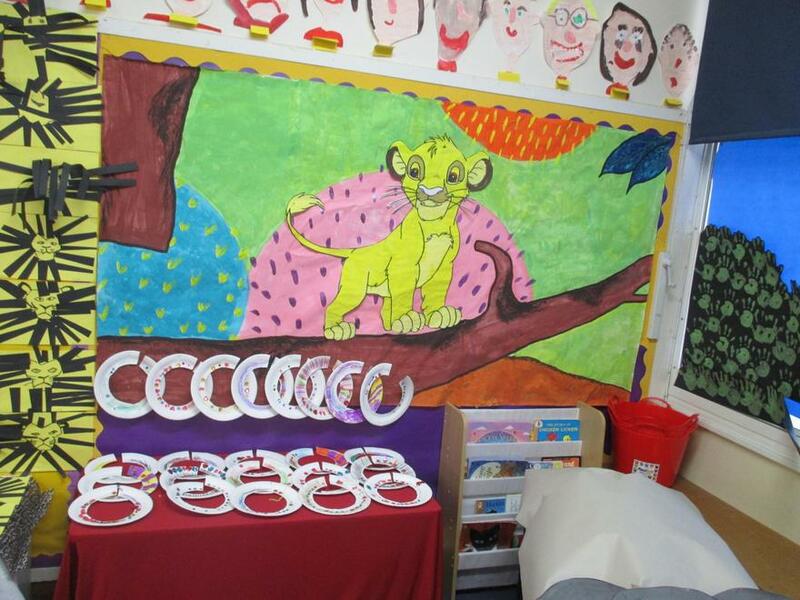 Every child in the school used their thumb prints on the canvas which will stay in our school for many years to come! 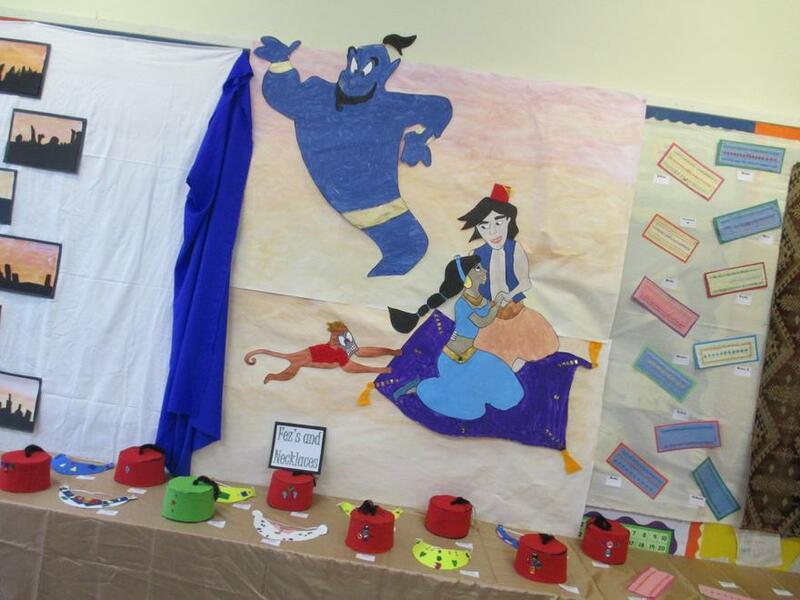 Finally, the entire school was turned into a 'Cinema'!! 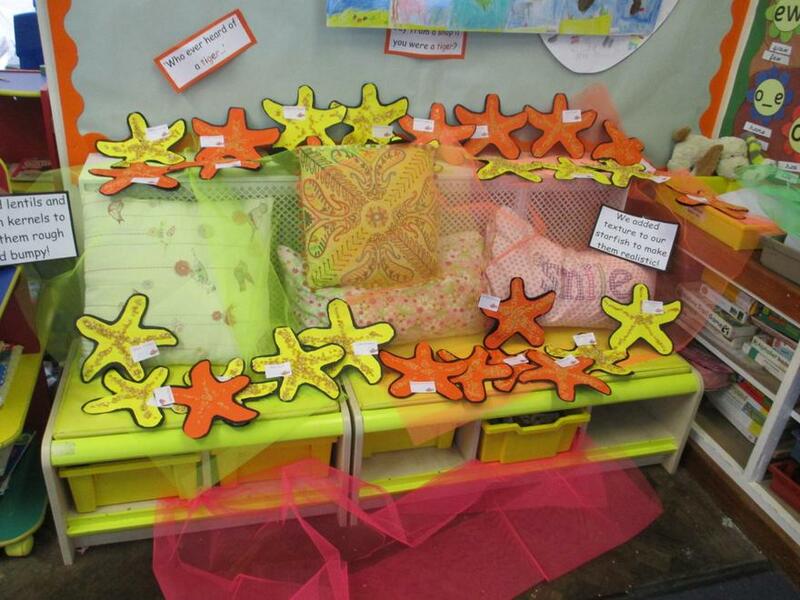 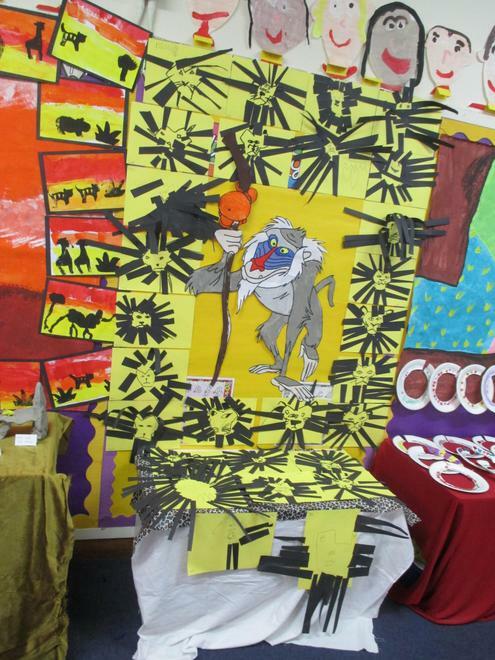 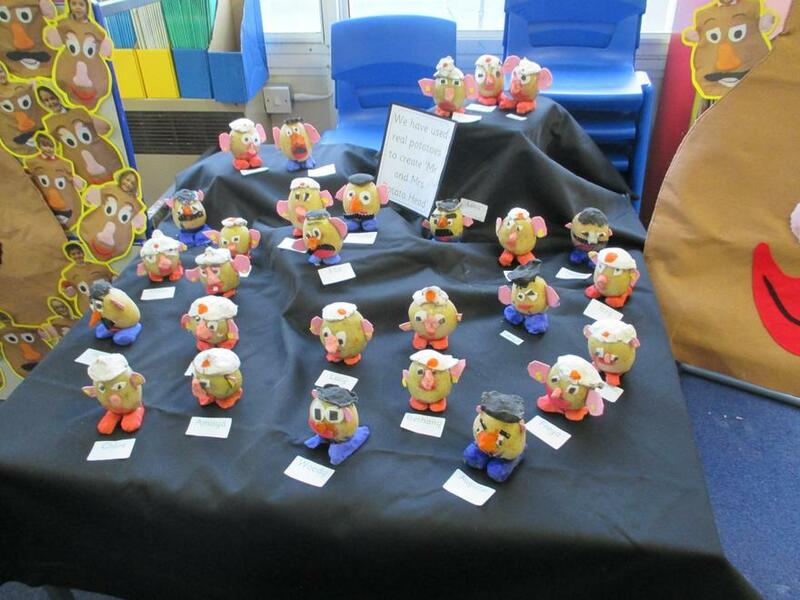 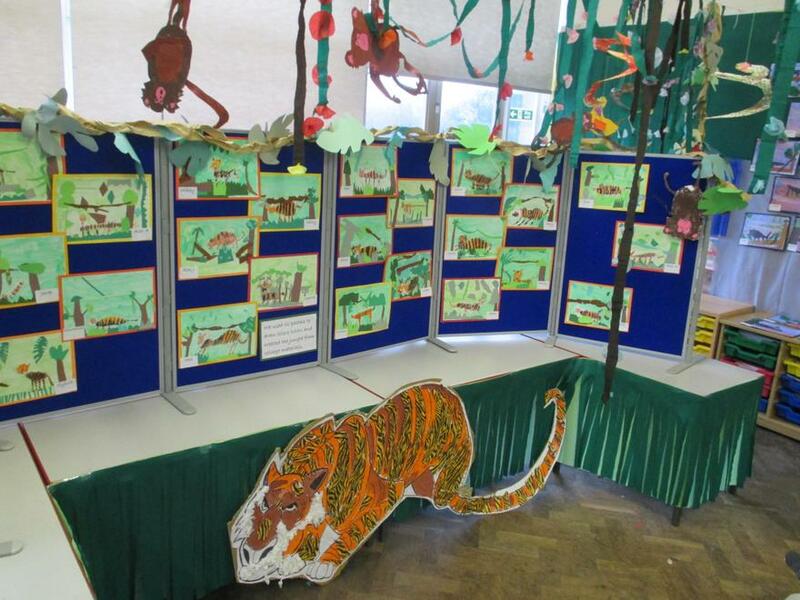 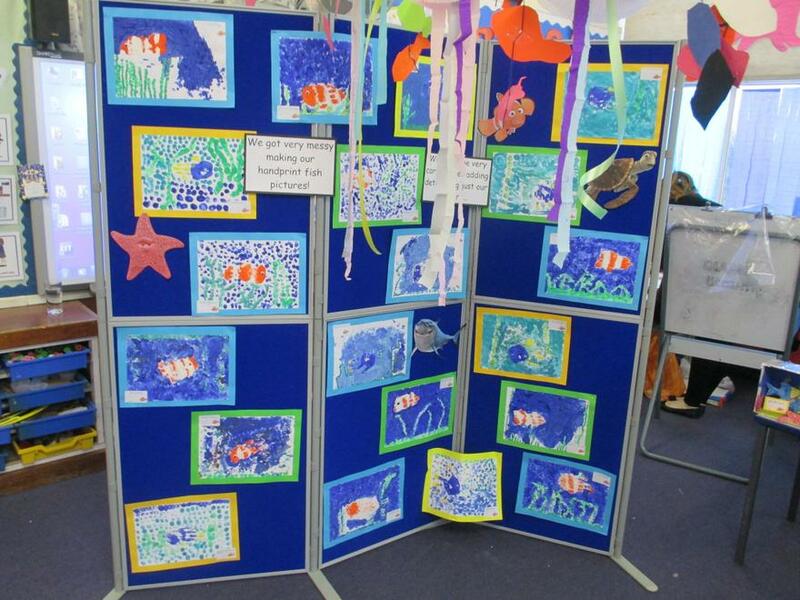 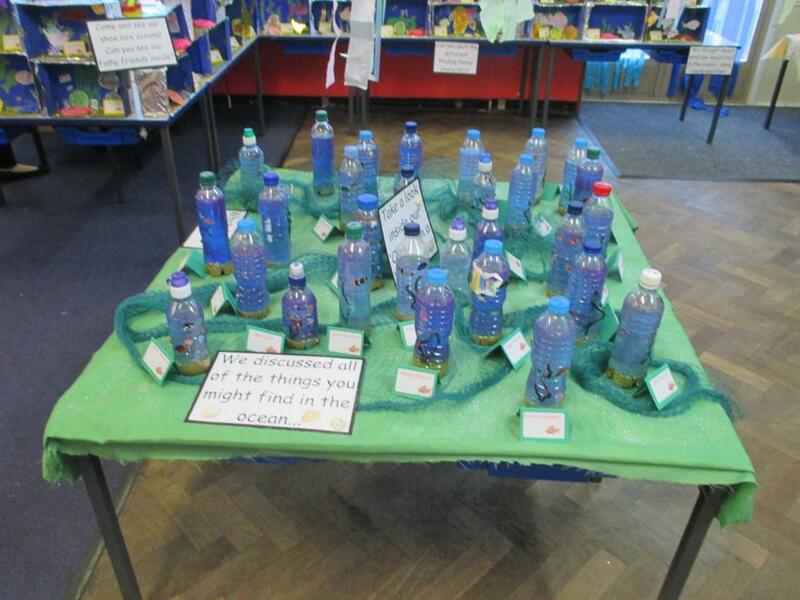 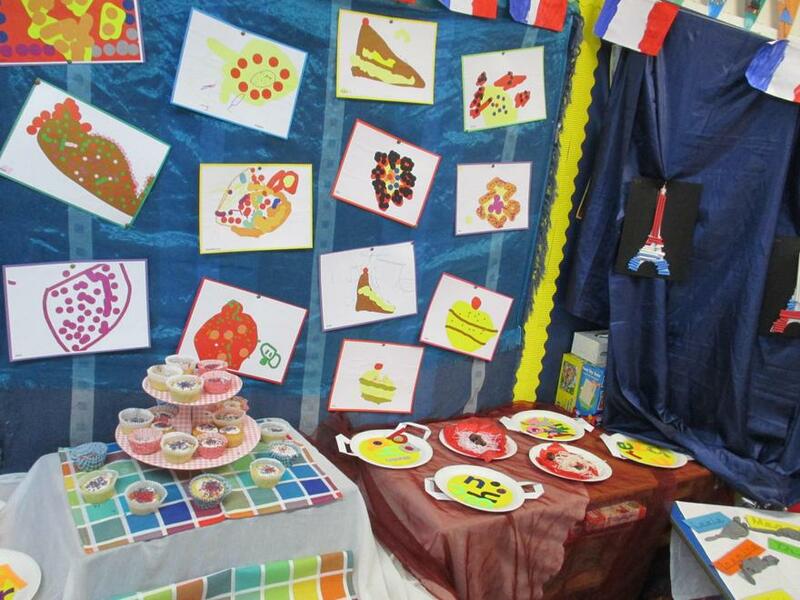 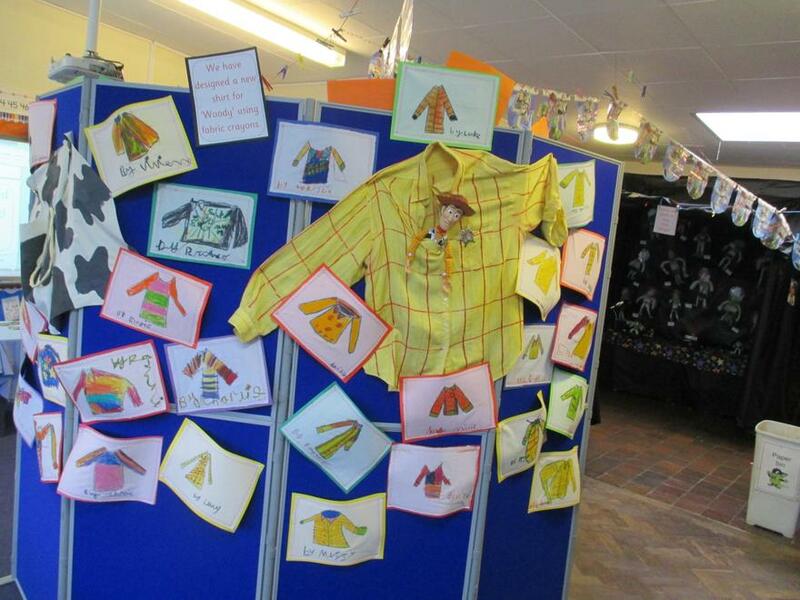 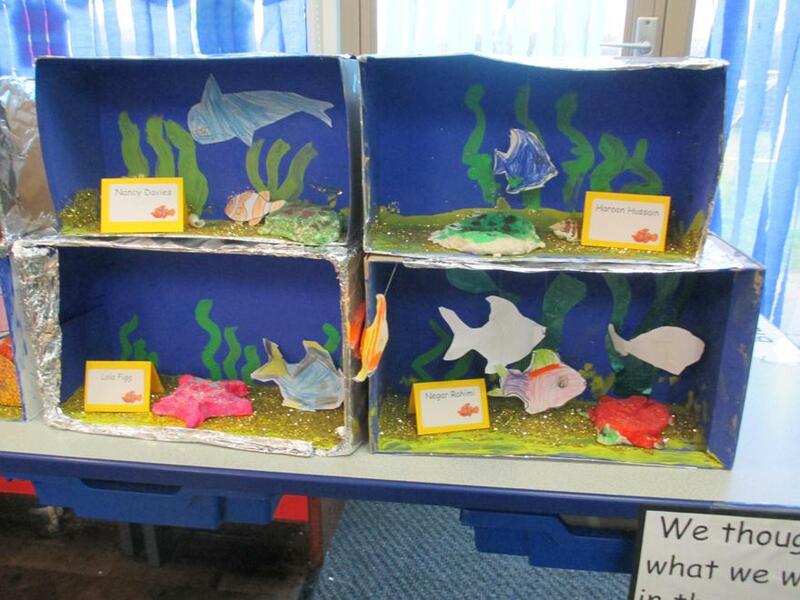 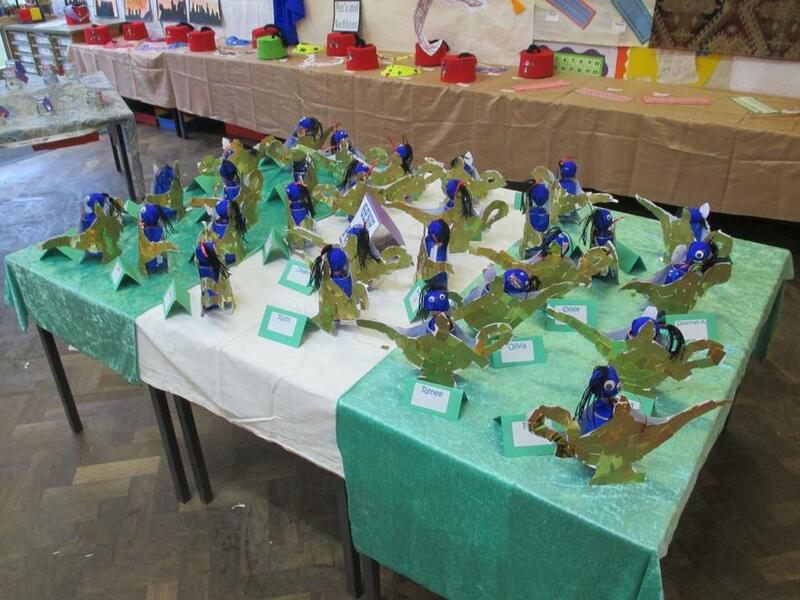 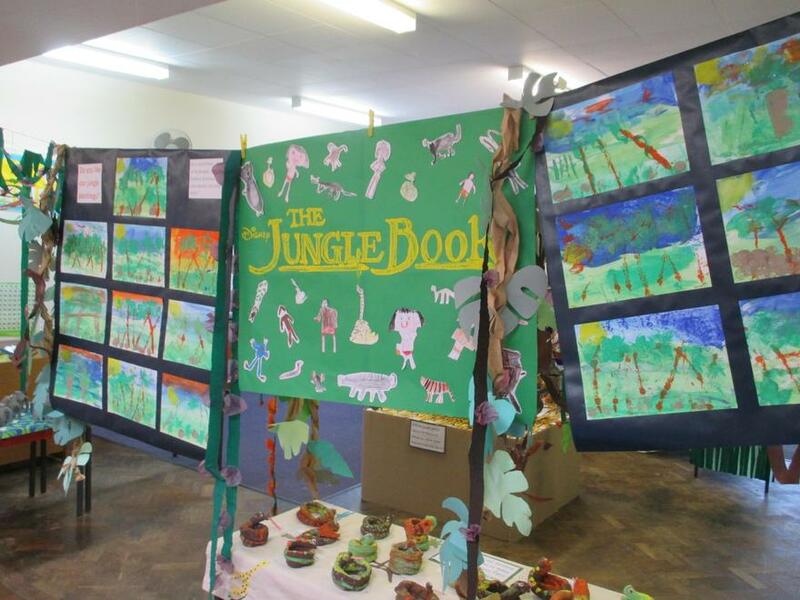 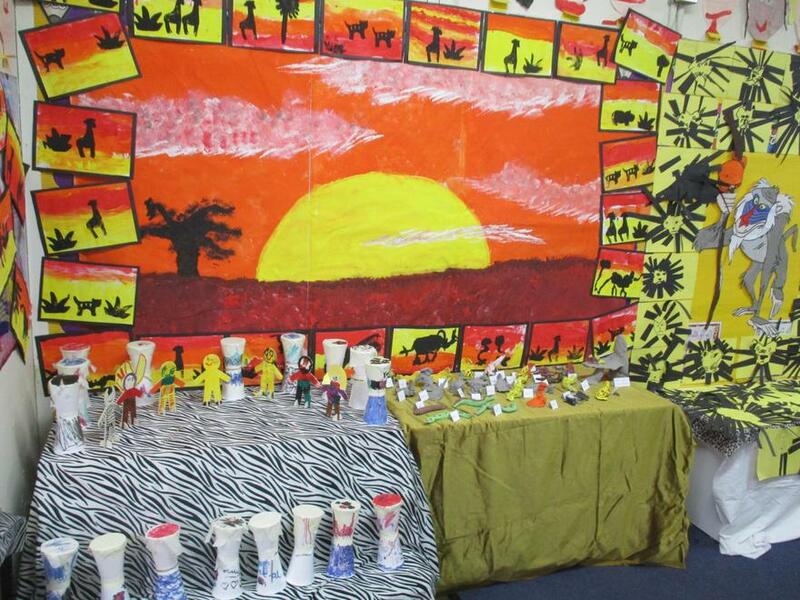 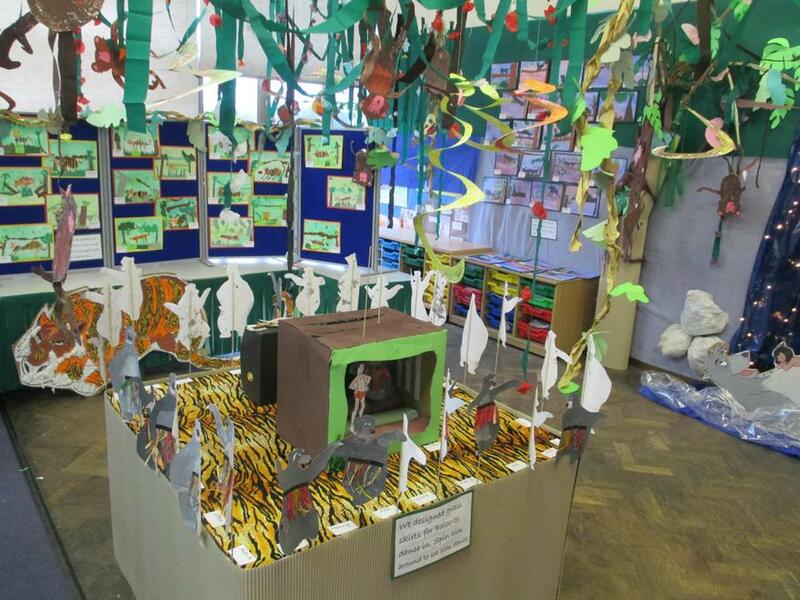 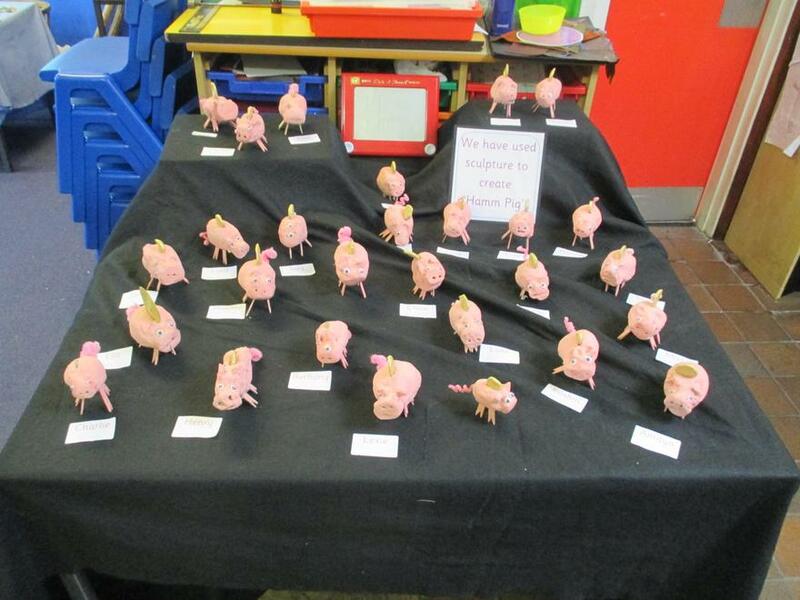 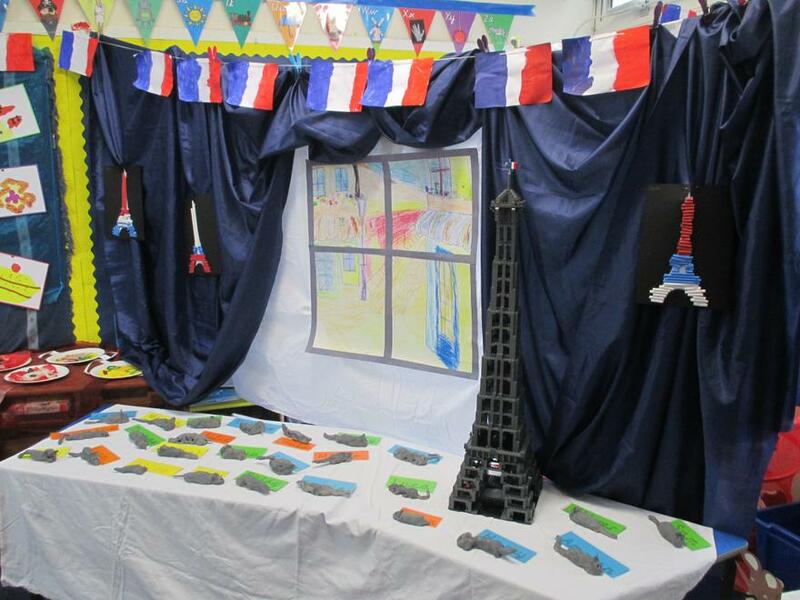 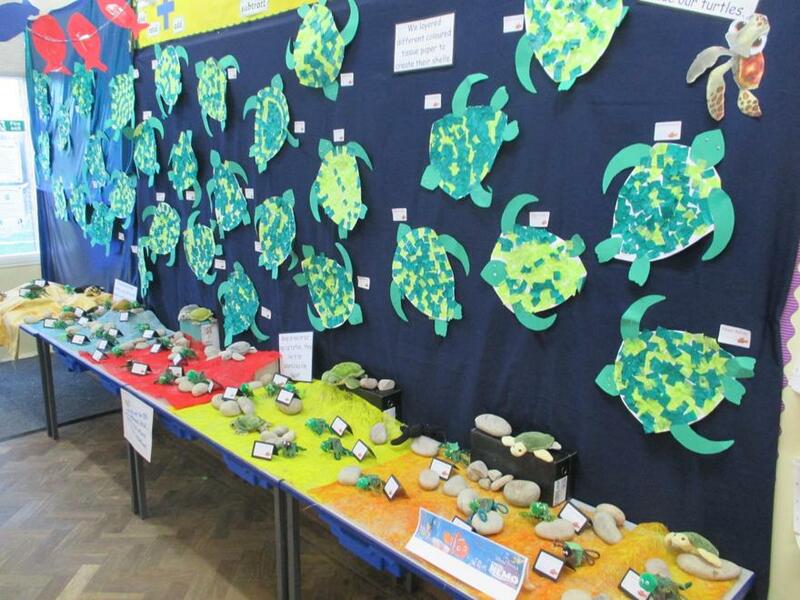 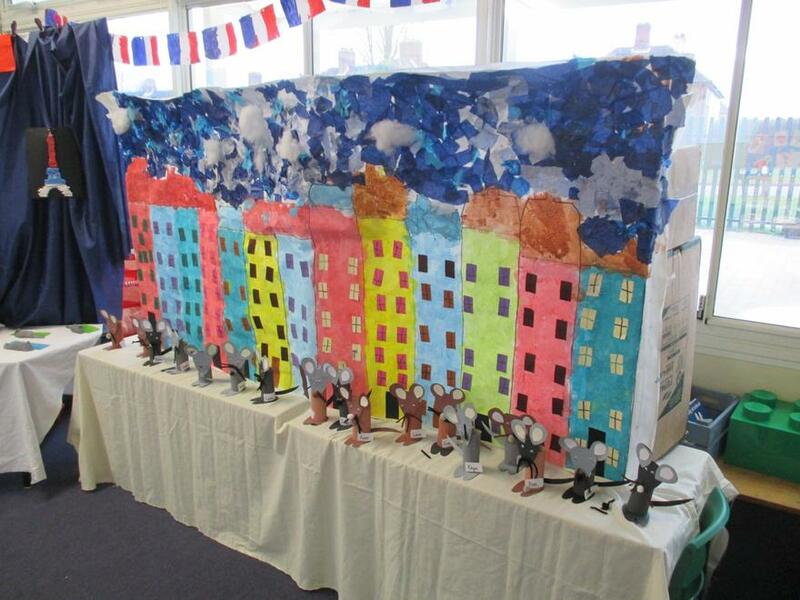 We hope you all enjoyed seeing all the art work that was displayed in every classroom. 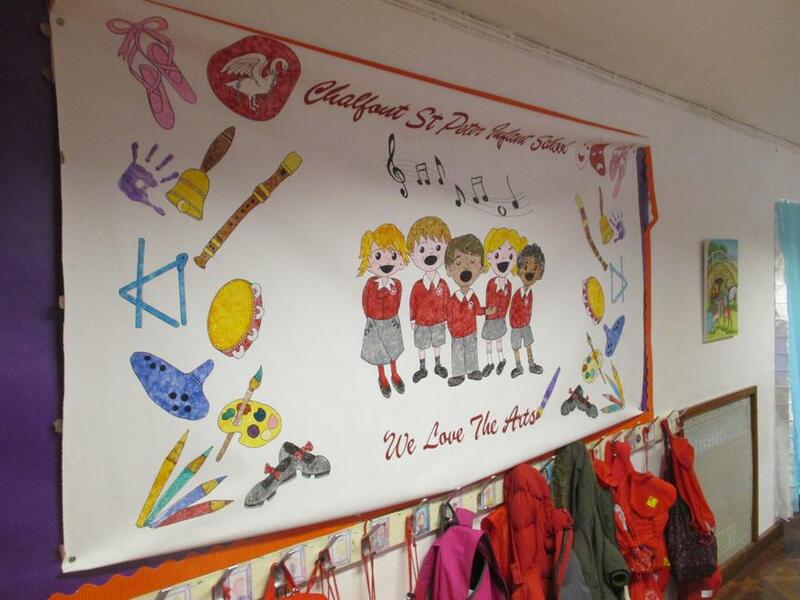 The children were extremely proud to show you all around!